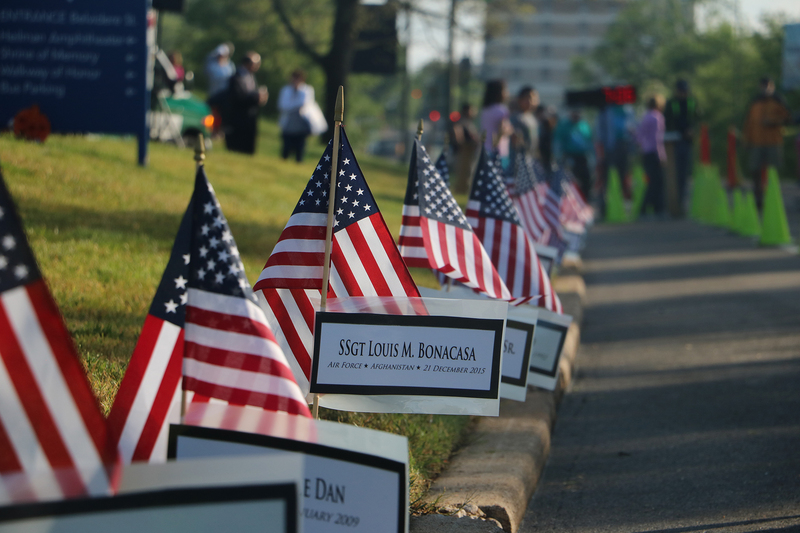 Honor and remember a deceased military veteran with a memorial flag at the Sixth Annual Virginia War Memorial/Priority Automotive 5K Run/Walk to Remember on Saturday, April 22. The Memorial is seeking sponsors for American flags to be placed at the start and finish line of its annual 5K event. Each flag will include the name and branch of service of a deceased veteran who served or was killed in action. 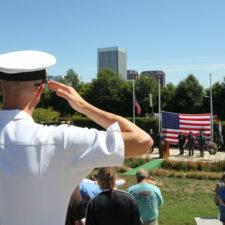 Feigley noted that the cost to sponsor a flag is $10 each with all proceeds benefiting the nonprofit Virginia War Memorial Foundation which funds educational programs and exhibits. Sponsorship forms are available at the Memorial at 621 South Belvidere Street or online, and must be received no later than Sunday, April 16, to allow time to prepare the individual nameplates and the flags. The Virginia War Memorial/Priority Automotive 5K Run/Walk to Remember is unique in that it is the only running event in Central Virginia that gives civilians the opportunity to run or walk alongside active military members who run in uniform and in formation. Registration is open to runners and walkers of all ages and abilities. Children age 3 to 12 are invited to participate in the free special half-mile Veterans of Foreign Wars (VFW) KidsFunRun. Registration is required. For more information, to register to run or walk, volunteer or to sponsor a memorial flag, please call 804.786.2060 or click here. Visit the Virginia War Memorial with your family, and learn more in RFM Reaching Out.